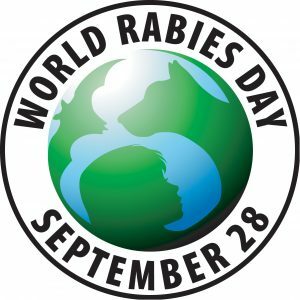 World Rabies Day: How to Protect Your Pet from Rabies | Babcock Hills Veterinary Hospital, P.C. September 28th is world rabies day and all of us at Babcock Hills Veterinary Hospital, P.C. want to spread awareness about rabies and how to protect your pet from this devastating condition. While most people are aware of rabies, they aren’t quite sure what it is and how it can affect their pet. So, what are the symptoms of rabies in pets, and what can you do to prevent your furry friend from contracting the disease? The best way to fight rabies is to prevent it, so always make sure to follow these guidelines. Contact Babcock Hills Veterinary Hospital, P.C. today to ensure that your pets are protected from rabies. ← September is Dental Month!